We live in a networked society and our actions, opinions, behaviors are affected and can affect other people. Understanding such social networked structures is one of the key challenges in our attempt to decode human behavior and its impact in our society. Although human interactions are dynamical by nature, most of our understanding relies in static representations of those social networks. However, social interactions are rarely static. Very often the networks evolve by means of processes that happen at diverse time scales, like link decay/formation, group formation, etc. 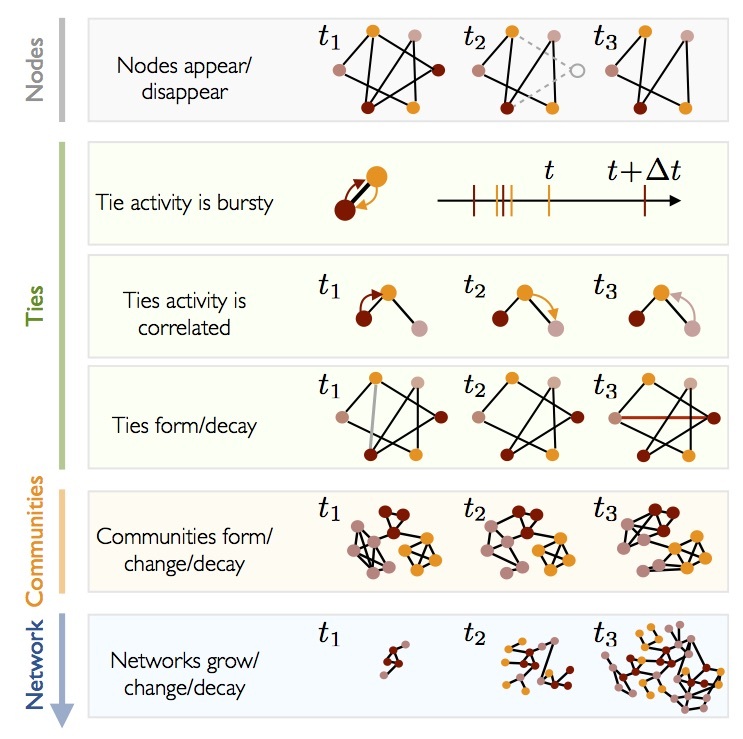 Our research in the last years have been to develop dynamical models of social networks that account for all those processes at different temporal scales. Understanding how networks evolve has allowed us to reveal new behavior patterns hidden in those social dynamics, but also their effect in societal problems like information diffusion, viral marketing or social mobilization. For example, using massive datasets of viral marketing campaigns and mobile phone calls by 20 million people, we were the first group to identify the slowing down of information diffusion in social networks due to the inhomogeneous (bursty) activity of humans. This finding explained also why marketing techniques based on spreading of information (viral marketing) are sometimes unsuccessful to achieve expected reach and coverage in reasonable time. But also, it warns us about the potential risk of using network strategies in situations of critical mobilization, a study we published in PNAS: social mobilization can be very fast, but it is unreliable. Part of this research, and specially the understanding of viral marketing campaigns, was recognized by IBM with “2007 Shared University Research” award. At a different temporal scale, humans create and decay human interactions every day. The unavailability of large longitudinal databases about human interactions prevented the understanding of what are the main strategies behind our social dynamics. 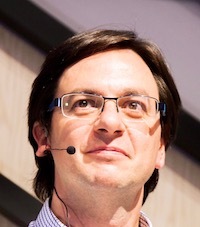 In collaboration with Telefónica and accessing the largest dataset (almost two years) used in this kind of research, we were the first group to identify what is the strategy that individuals use to create and decay social relationships while maintaining a constant amount of time/attention to those relationships. We found the universal result that people can be classified as keepers or explorers depending on whether they create less or more relationships for a given capacity to maintain a certain number of relationships. Our finding of those universal strategies have been corroborated by other groups in email or human mobility, for example. We have worked extensively in this line of research to find how other temporal patterns of social interactions can predict long-term successful relations or the importance of daily rhythms in social relationships. Finally, we have know a collaboration with Facebook to use their data to understand how strong ties are created in our society whether is it possible to predict their creation. Limited communication capacity unveils strategies for human interaction.